Godavari college of Engineering (GCOE) has established itself as a premiere technical institute within a short span of time in Jalgaon district of Maharashtra, India. I am glad to present this information of Godavari College of Engineering. 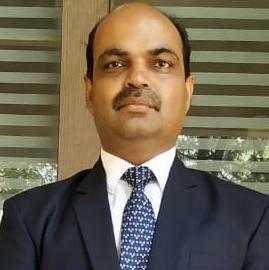 As administrative head accountable for the integration of the management, staff and students, no stone is left unturned to follow strict academic discipline, keeping in view social and moral values and changing world of technology, so as to infuse in the student the spirit of hard work, honesty, courage, foresight and social awareness. Unique teaching methodology, super-specialized courses, highly innovative and internationally acclaimed faculty, best industrial practices, futuristic vision, personality development and corporate dressing sessions help our students to adapt to real world scenario and meet global opportunities of framing new technology and working their as the best engineers. At GCOE, emphasis is given more on creative thinking, rather than completing an exhaustive course, to provide students with ample time to understand basic fundamentals of engineering, science, technology and to create new and valuable ideas. In the course of their journey at GCOE, they evolve into a perfect leader for an increasingly borderless world. LET US TOGETHER MAKE A PROSPERING AND BEAUTIFUL WORLD.